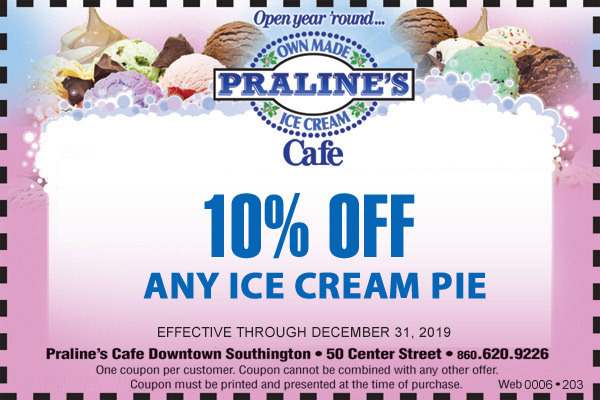 At Praline's Cafe DOWNTOWN SOUTHINGTON, we like to offer our friends lots of creative ways to save, while satisfying their sweet tooth ... Keep checking this portion of our website regularly. Our mission is to provide all of our patrons with many reasons to visit us! Check out these great specials today! Click on the coupons to print them. Here are a few reasons to satisfy your sweet tooth immediately. Visit Praline's Cafe Downtown Southington right NOW!